Download the installer appropriate to your operating system. 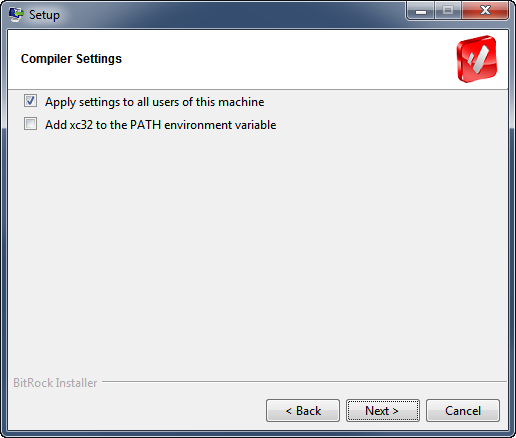 Depending on your Windows security settings, you may get a window asking if you are sure you want to run this program. 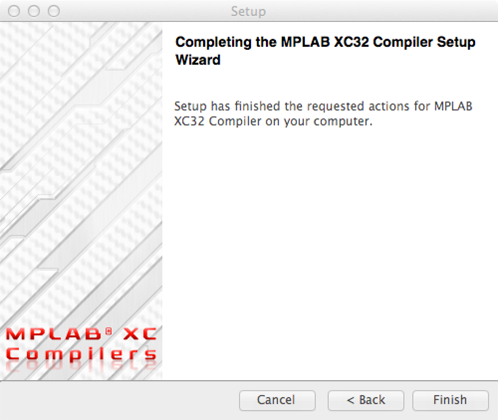 Answer "Yes". 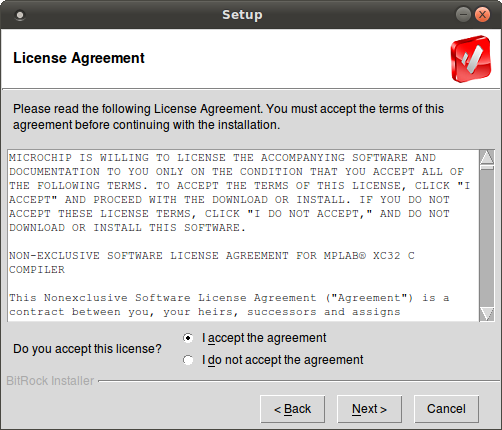 Click on the radio button next to I accept the agreement. 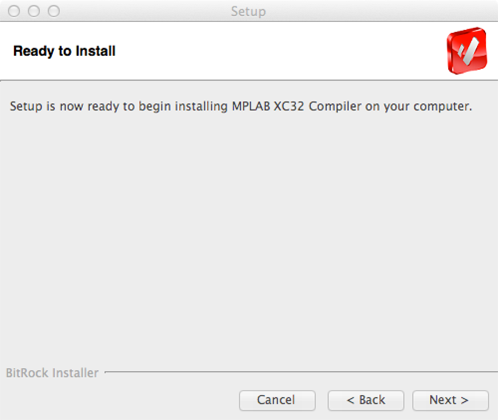 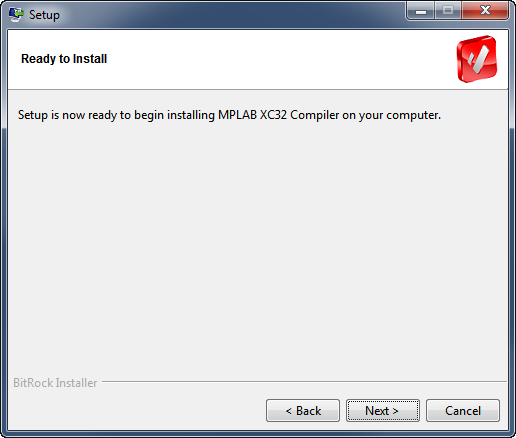 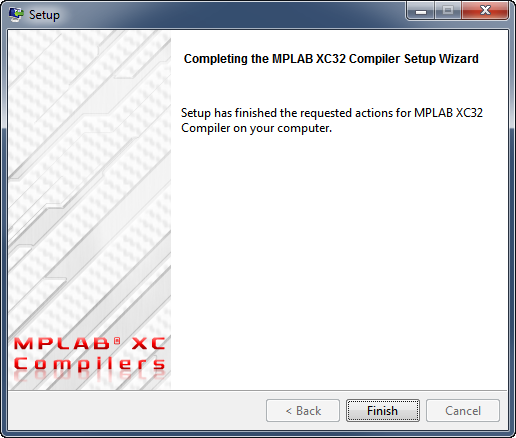 If you are installing the compiler for use on your machine only, click on the radio button next to Install compiler. If you have a network license and are installing on a server, click on the radio button next to Install the Network License Server. 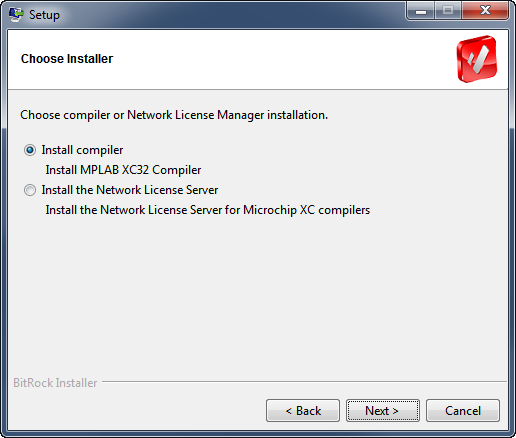 If you are not using a network license server, leave this unchecked. 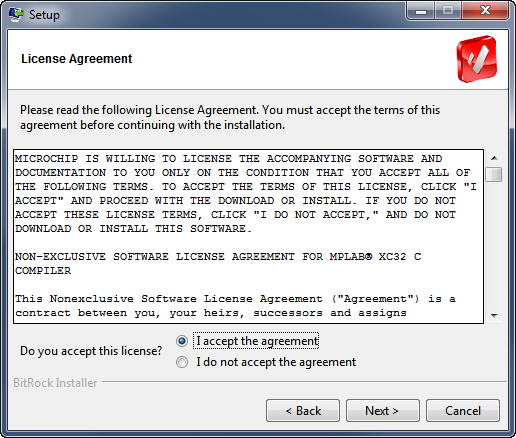 Otherwise check the box and provide the name of the network license server. Use the default installation location, or choose a different one if you prefer. Not generally required unless you plan to use xc32 from the command line (terminal or script). Wait while the installer unpacks and installs all the files. 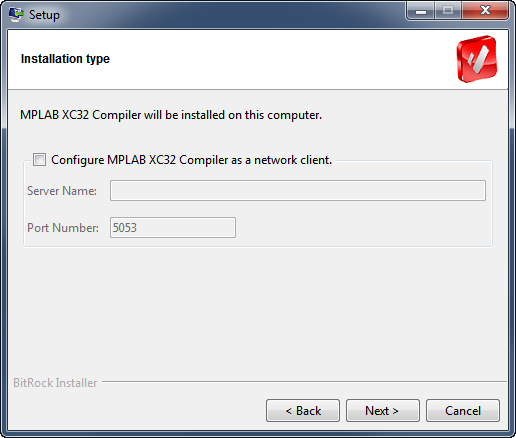 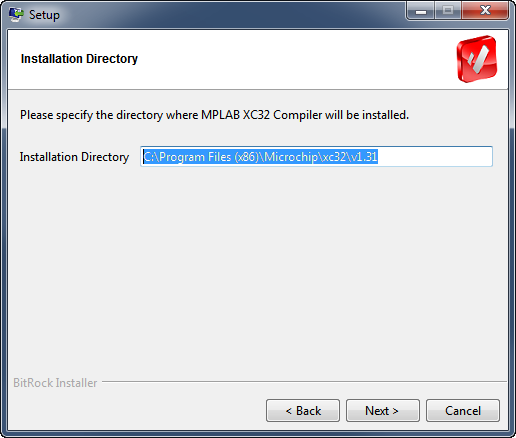 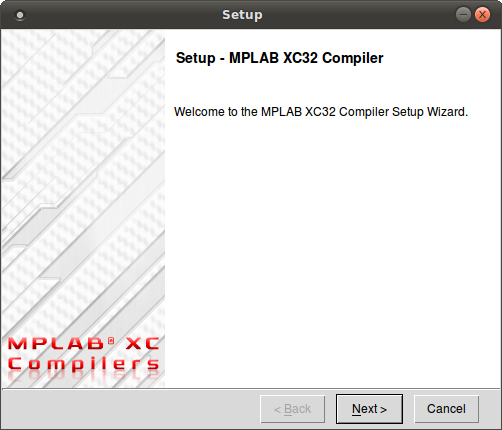 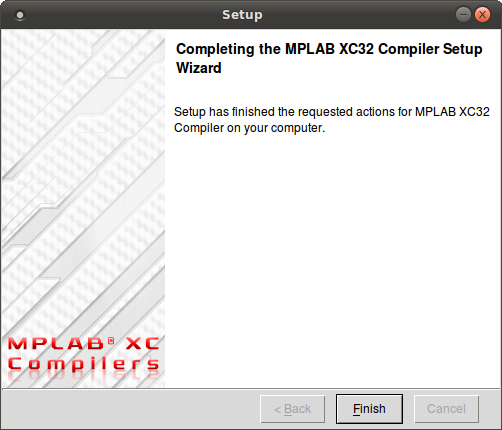 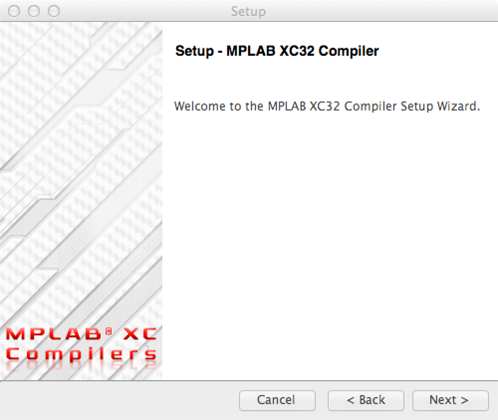 If you want to use the C++ compiler, click on the link for a free XC32++ license. 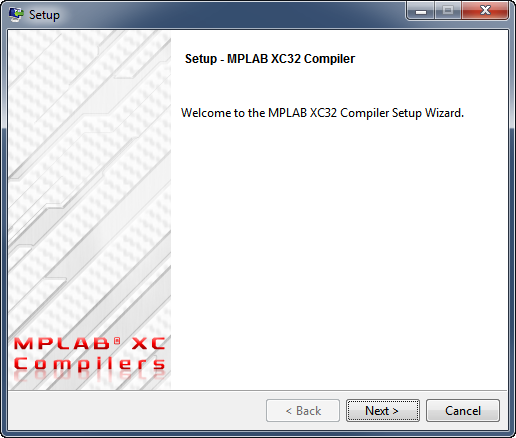 This will unlock the C++ features of XC32. 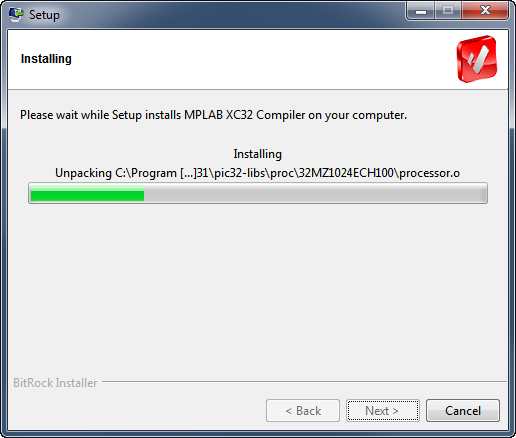 You may get a warning message window. You can click on Open to continue. 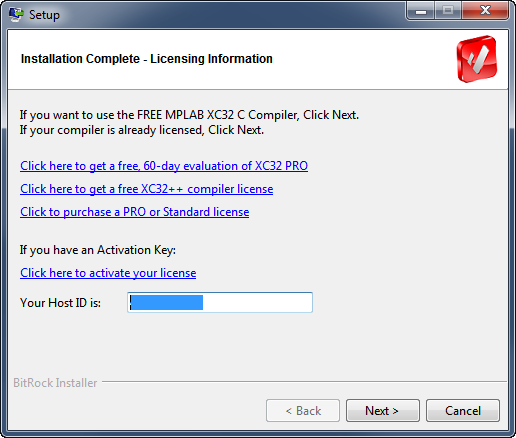 Your computer's login and password need to be entered if you have enabled that protection for new installations. 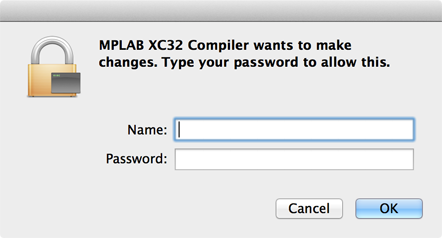 If you don't have a password enabled you can just click on OK to continue. Not generally required unless you plan to use XC8 from the command line (terminal or script).